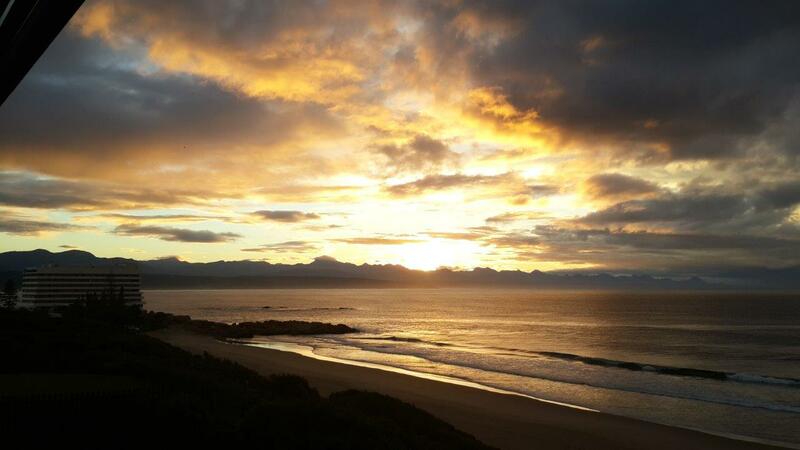 This holiday beach house offers direct access to Robberg Beach and spectacular beach and sea views. 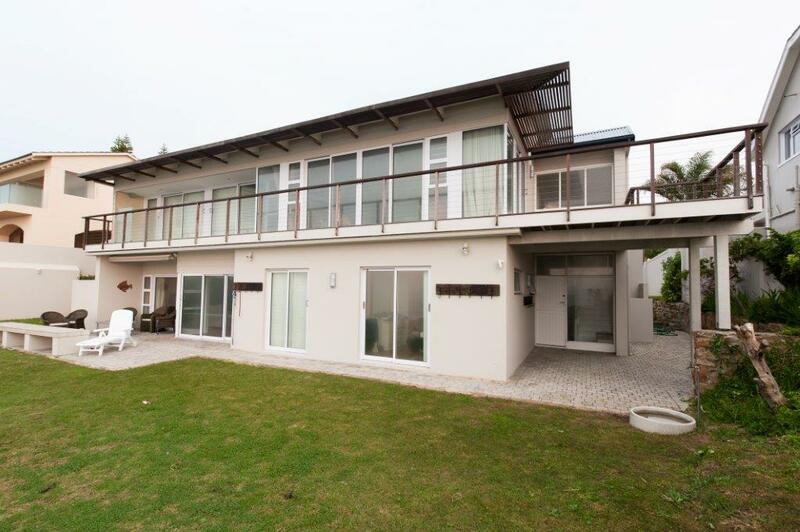 Enter from the driveway/parking area into a courtyard with a built-in braai and built-in seating. Door leads into the open-plan lounge (with small flat-screen TV), dining and modern kitchen. 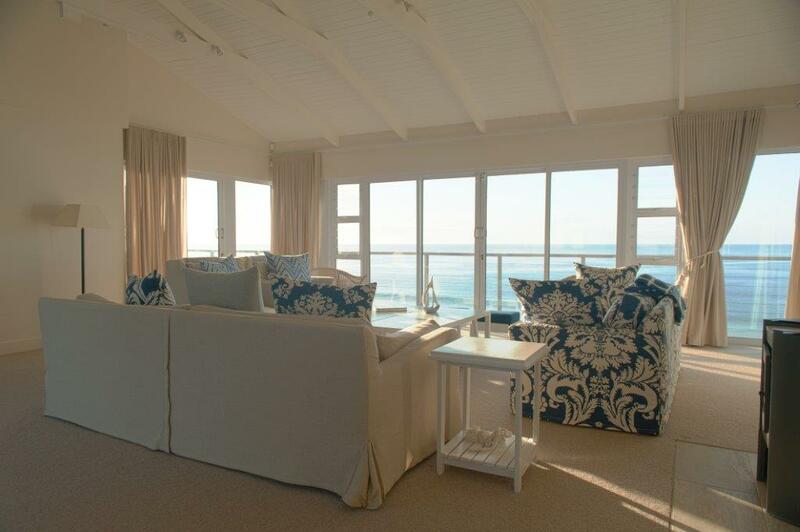 Enjoy views of the sea from the indoor dining table – which seats 10. 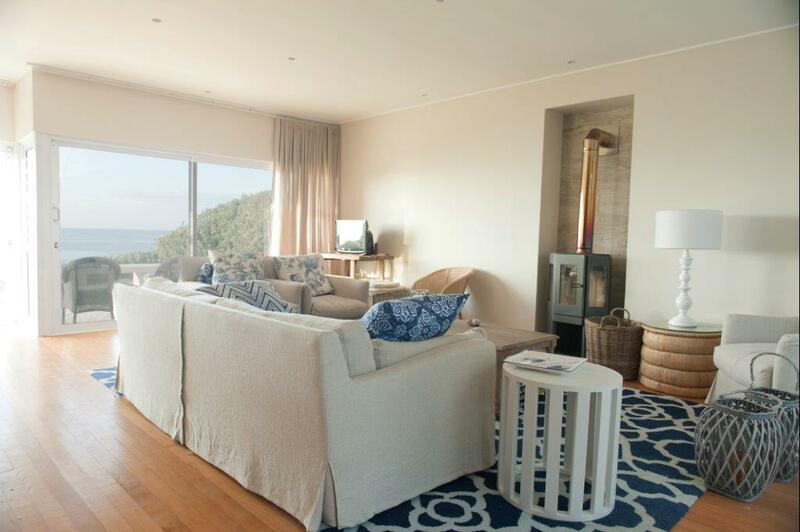 The lounge has a TV and a wood burning fireplace for the cooler months. 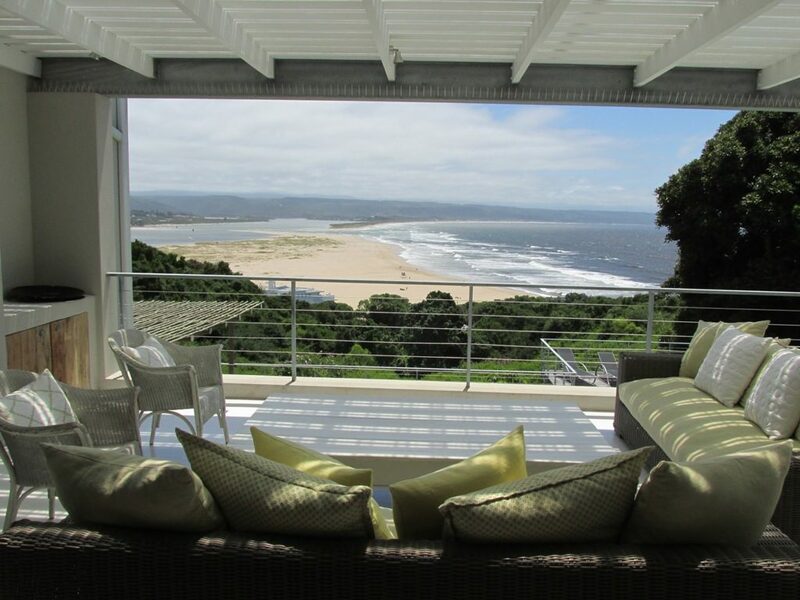 Large glass sliding doors open up to the sea facing garden with outdoor braai area overlooking the beach and ocean. There’s a retractable awning for shade. 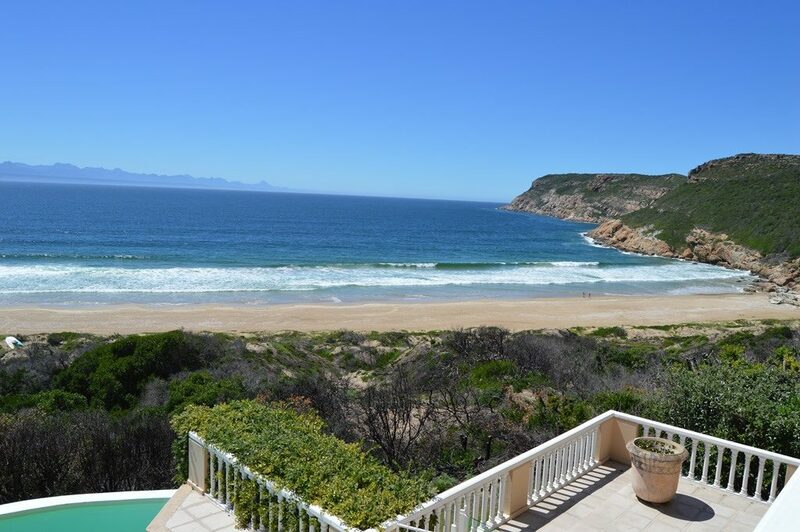 Access to the beach is from the garden onto a beach path through the sand-dune. 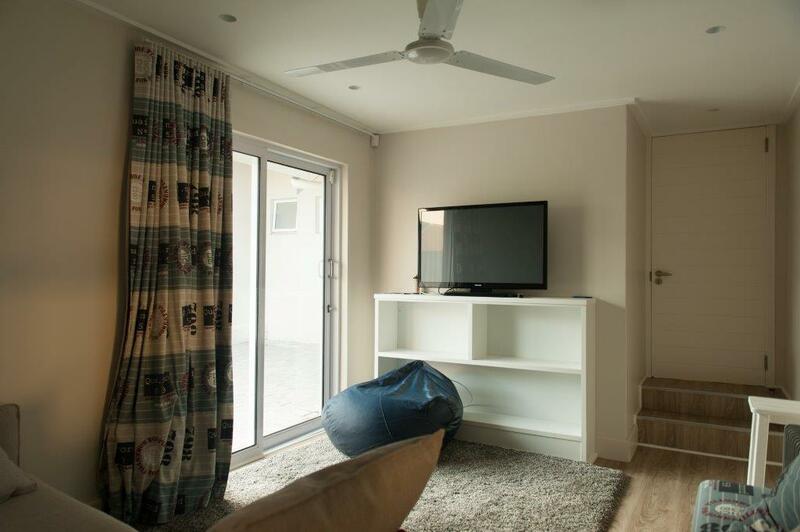 Off the kitchen area is a separate small TV room (seating 4) and a bathroom with a shower & toilet. Bedrooms 2-4 are on this level. 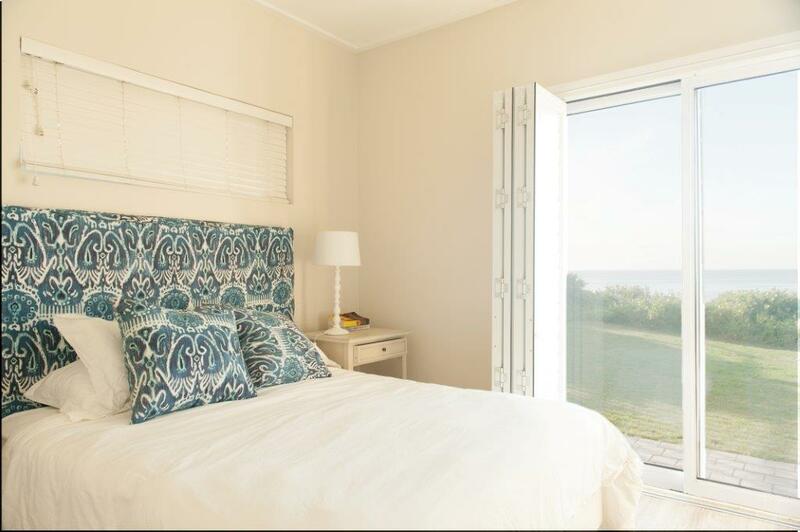 Bedrooms 2 and 3 are sea-facing. 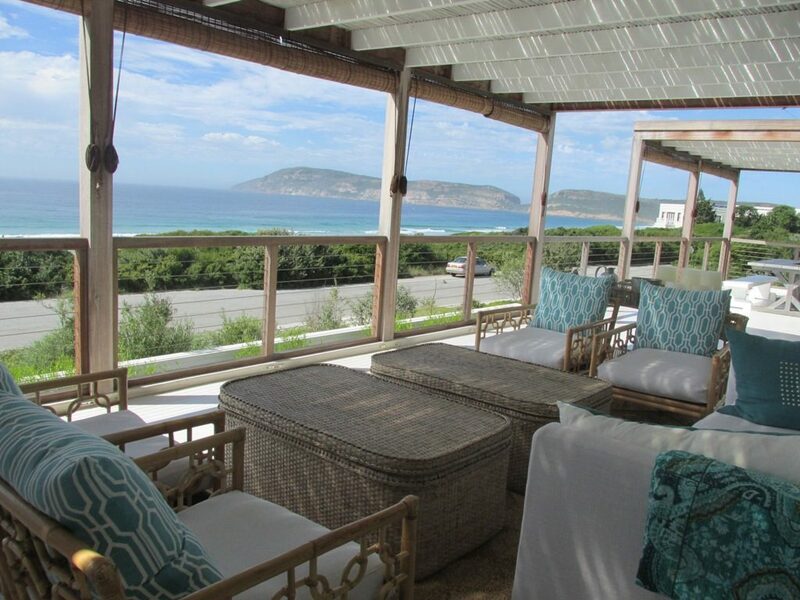 UPSTAIRS: Stairs lead up to the spacious sitting room with expansive views of the waves, sea and Robberg Peninsula. Wood burning fireplace. There’s a bar fridge for drinks and a desk area. 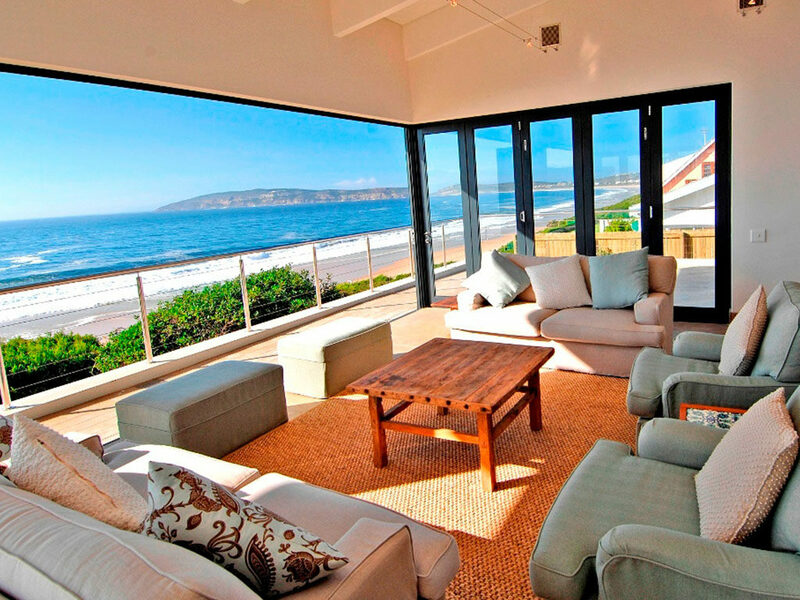 Doors lead out onto the sea facing balcony. The main bedroom is upstairs. 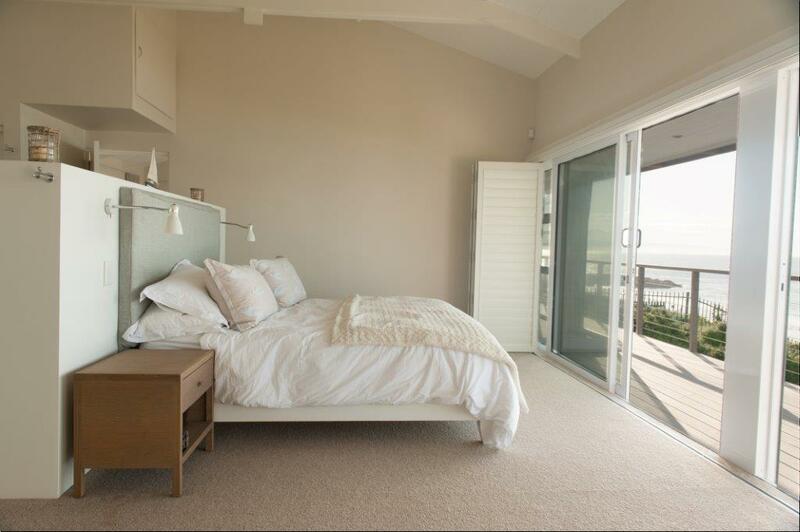 Upstairs: Main Bedroom: Spacious room with double volume ceiling and open-plan bathroom & wood burning fireplace. 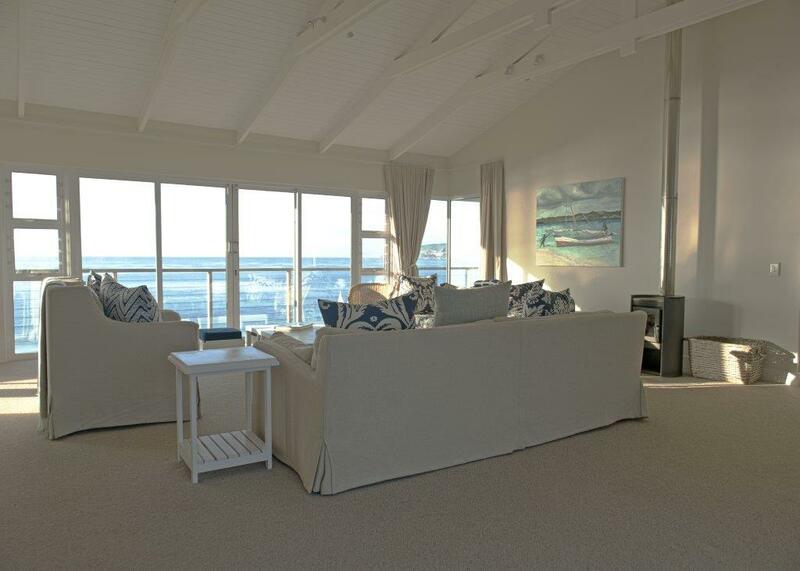 Large sliding doors lead to the balcony overlooking the beach and sea. 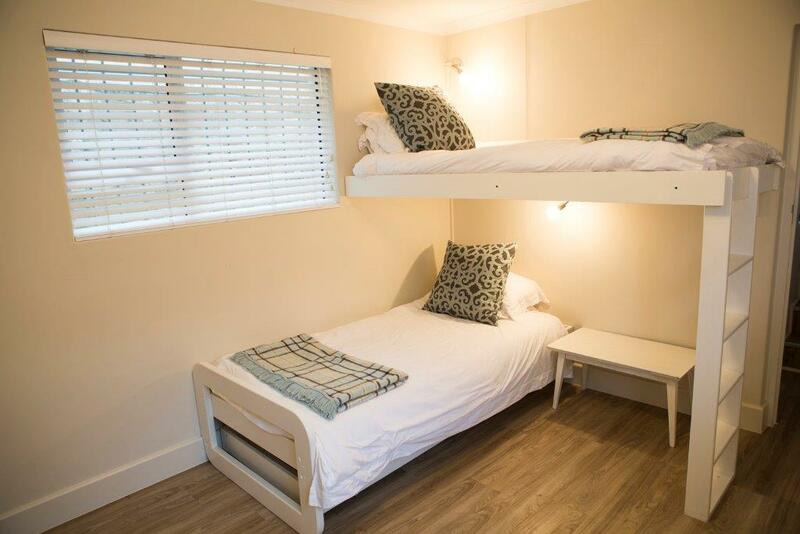 King sized bed with full en-suite bathroom: Shower (large shower head), Bath & Toilet. Bedroom 2: Queen sized bed with views and door to garden. Sea views. En-suite bathroom: Shower & Toilet. Louvre doors & aluminium sliding door. Ceiling fan. Bedroom 3: X2 Single Beds with a door leading to the garden. Sea views. Louvre doors & aluminium sliding door. Ceiling fan. Teens’ Room: Outside room/separate from the main house. X4 Single Beds (pine beds & foam mattresses). Open-plan room with mini-kitchenette and ping-pong/table tennis table & dart-board. En-suite bathroom: Shower & Toilet. This room has its own entrance door and is accessed from either the TV lounge or kitchen door across the back garden area. 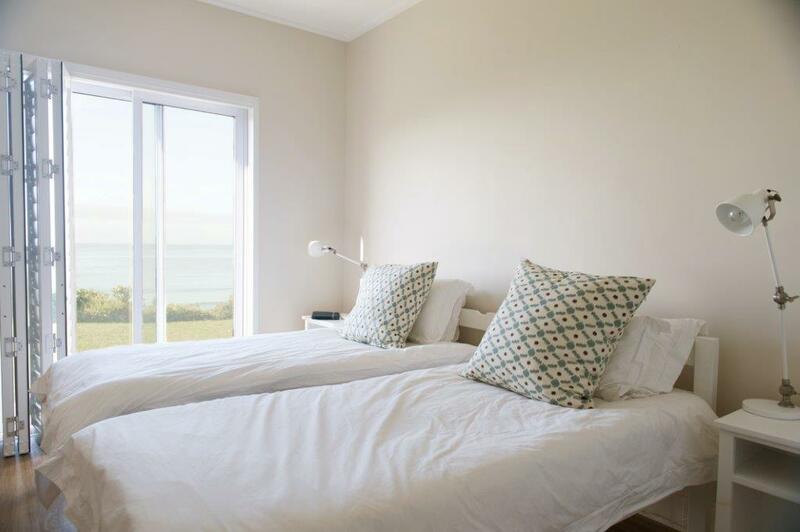 • Linen, bath and beach/swimming towels are provided. • Outside shower for rinse-offs from the beach. 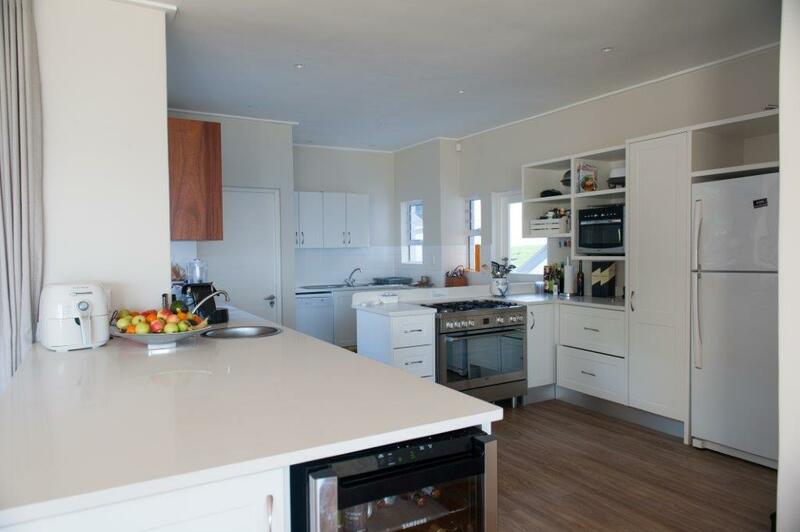 • Kitchen equipped with dishwasher, washing machine, fridge& freezer combo and microwave. There’s a chest freezer in the store. • 5 Plate Gas hob & Oven. • Weber braai and built-in braai. • Parking for 4-5 vehicles behind motorized gate and fence, X1 covered – the rest are uncovered. Double garage parking may be available. 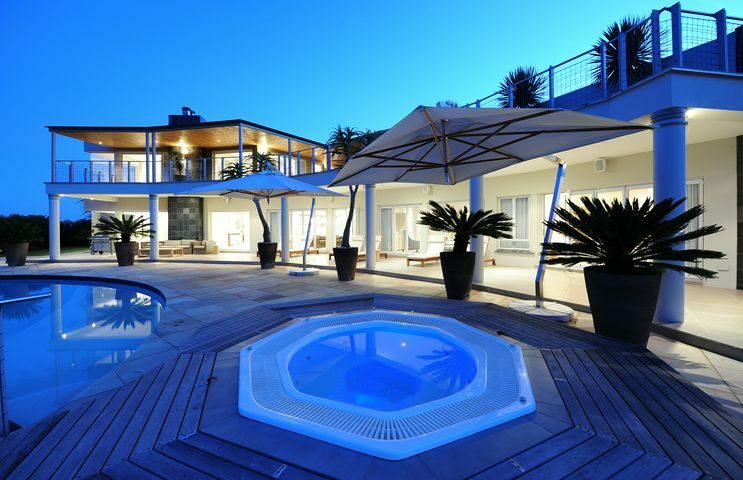 • The house has an alarm system with internal and external beams & the property is enclosed from the street with fencing and a motorized gate. • Should you require servicing while on holiday, there is a lady available to work. The rate is excluded from the rental. 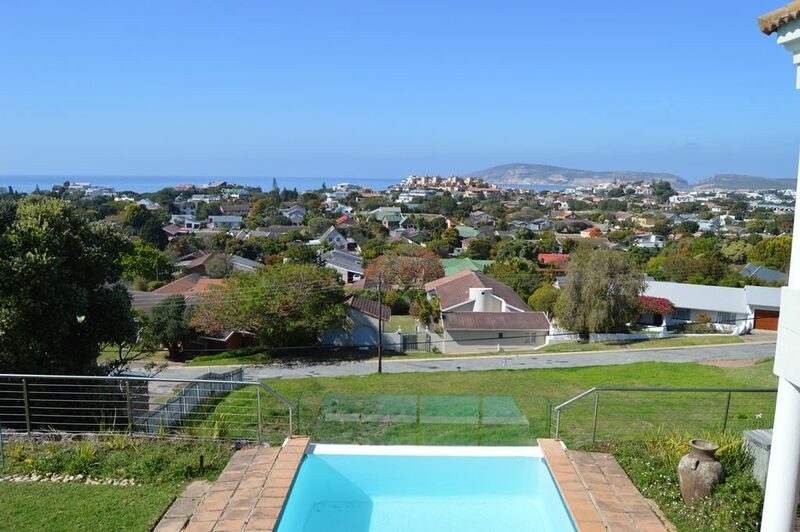 • Please note: There is a room completely independent from the house which is the owner’s storeroom and is not available or included in the rental. There are two private cupboards which are excluded from the rental.